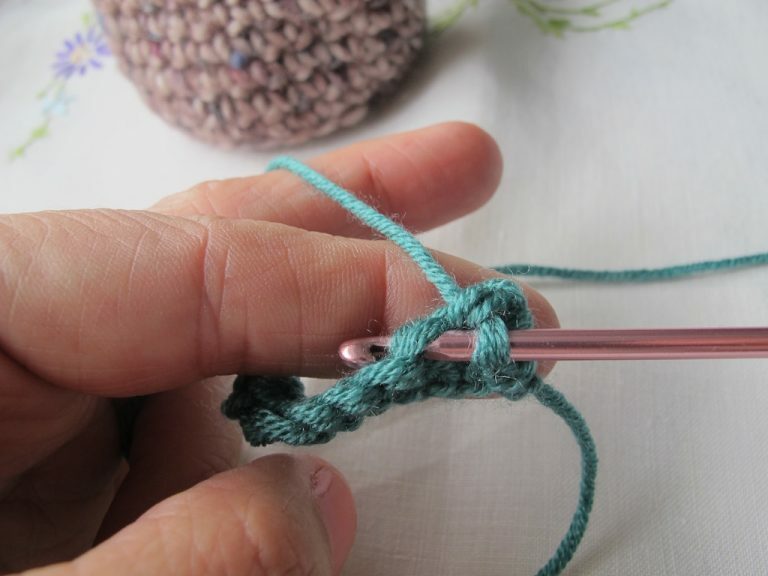 Put your hook through the foundation chain, or the stitch on the row below, or the ring, depending on which sort of pattern you are working. 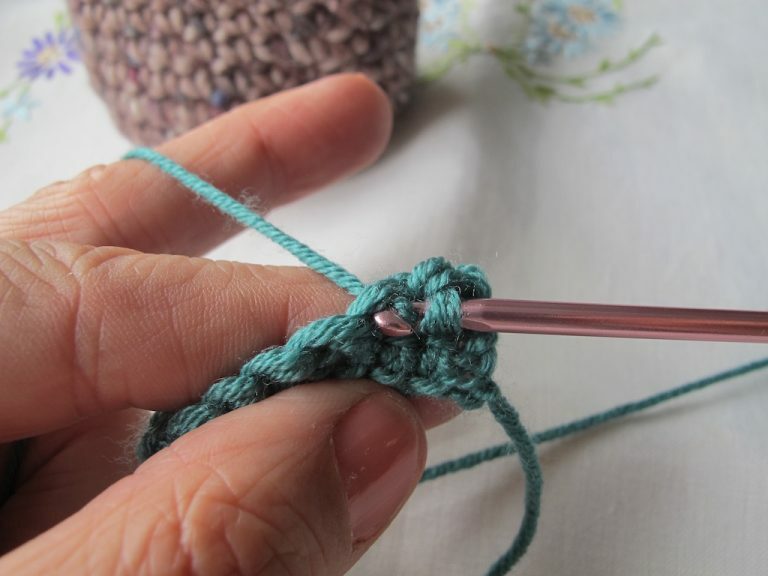 I’ve illustrated the stitch here working into a row of double crochet. 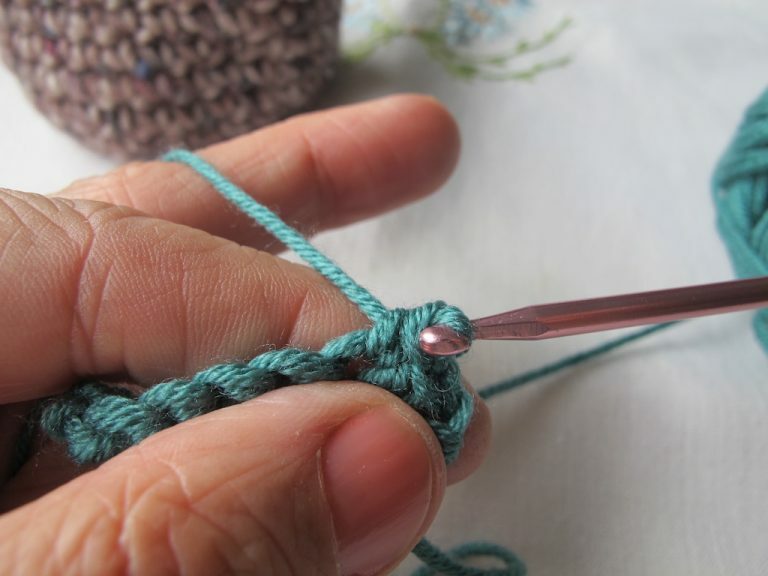 Wrap the yarn from the ball of yarn over the hook. 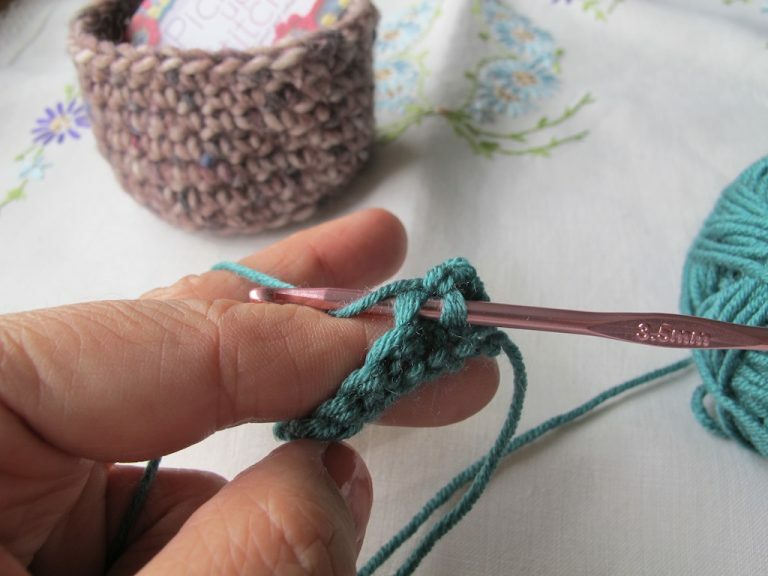 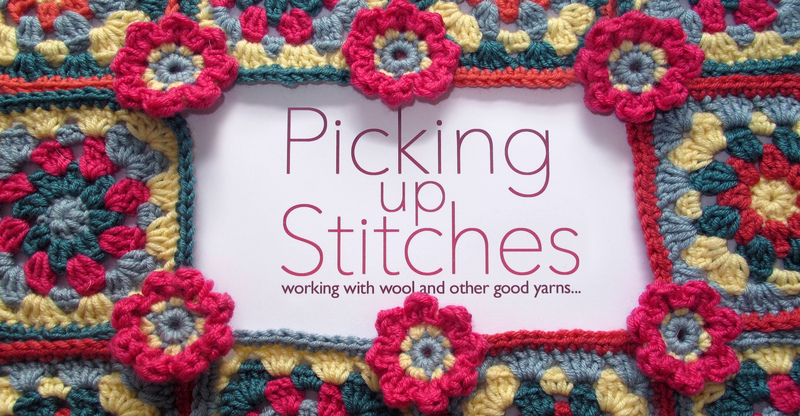 Now draw the yarn through the stitch – you will now have two loops on your crochet hook. 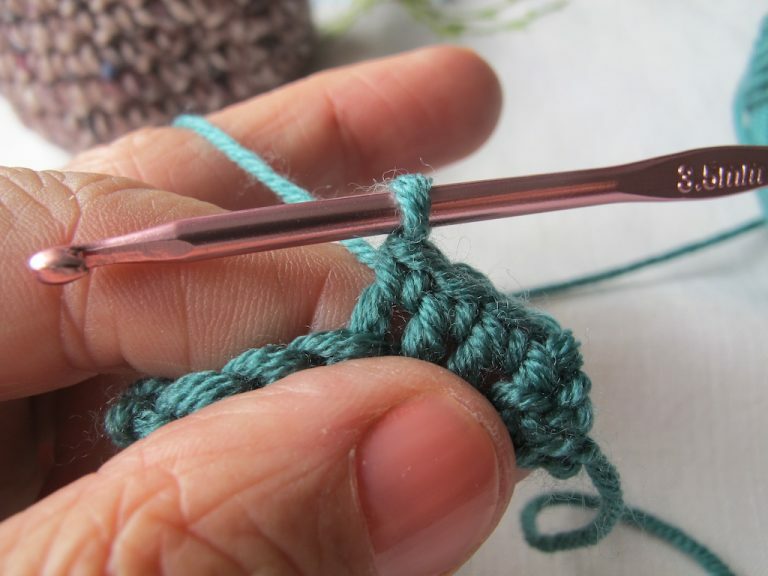 Now draw the hook and yarn through both loops on your crochet hook. 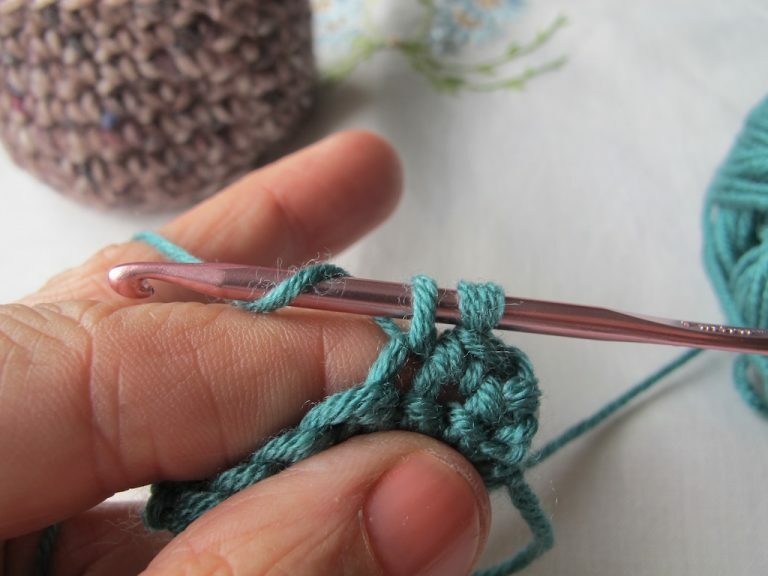 You have now worked a double crochet stitch!